Mobile-friendly, secure, and fast loading websites that look great on all devices. Search Engine Optimization (SEO) strategies for organic rankings. Pay-per-click (PPC) marketing for highly targeted leads and customers. By combining search engine optimization, pay per click, and social media markteing, we can get your business in front of your target audience. With our proven Search Engine Marketing (SEM) strategies, we can manage organic and paid (PPC) campaigns to bring in more customers. With our social media advertising strategies, we'll be able to generate more leads and customers that are looking for your services. We know how hard it can be to find a professional and reliable web designer for your business. There are many factors that go into creating a great website and hiring an expert is the key to success. The most important element to a compelling website is ensuring it delivers the intended goal whether it is to generate leads, sell products, or simply just for informational purposes. Of course, every business is different which is why we treat every new website uniquely. Before designing a brand new site or redesigning an outdated website, it is necessary to plan out a detailed roadmap that will set the project up for success. This includes examining all of the necessary elements that go into website design from graphic design to content creation. The research phase for designing a website should factor in the whole project which includes: SEO (Search Engine Optimization), PPC (Pay-Per-Click), SMM (Social Media Marketing), and more. Having a well-designed website is a great asset which is why it is so important to choose the right web design company for your project. If you are in need of an expert to help you with your website, contact us to set up a free consultation. Finding a Tulsa SEO expert for your business can be a challenging task. 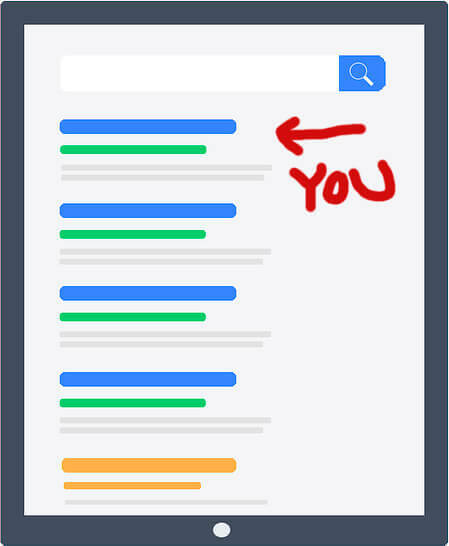 Search Engine Optimization (SEO) is incredibly important if you want to be on the first page of the SERPs (or Search Engine Results Pages). There are many factors that go into SEO and hiring an expert is the key to your success. SEO is just one piece of a successful Tulsa marketing campaign but if utilized correctly, it can produce great results for your business. Hiring an SEO expert is very important because without the proper knowledge and experience, you won't be able to see the results you desire. SEO can take months to see results in the search engines, so hiring an SEO with the right qualifications ensures that you will succeed. An expert SEO will be able to give you a detailed analysis of the best SEO strategies to use for your website. Keyword research, content development, and link acquisition are all skills that a talented SEO have. When hiring an SEO company, check that their current and previous clients are happy with their services. If they aren't delivering great results for their clients, how can you be sure that they will be able to help you? When researching different SEO agencies, the best companies will be the ones that are open and honest about their business and services. The most important characteristic to look for is that they have your business' best interest in mind. When signing up for SEO services, the first step is to set up a consultation and discuss the goals for your campaign. After that, the SEO will give your site an audit to pinpoint issues that need to be fixed or added. Whether you have a local business, national brand, or e-commerce website, an SEO consultant will do the research needed to help get your website to the top of the search engines. A complete marketing strategy should comprise of all on-site and off-site SEO. If you are looking to get your business to the top of the search results, contact us to book a free strategy session. Bo helped our business exponentially. Along with his custom design of our site, he boosted our SEO to get us to the top of Google! He also set up our AdWords campaign to drive more business our way. 5/5 stars! Bo is extremely professional and reliable. We are very pleased with the new site and it’s increased our business dramatically. We’ll definitely be working with Bo again on our next project! We were so lucky to find Bo! Not only did he finish our project before the deadline but made it look amazing too! He is very professional and went above and beyond our expectations. Thanks again Bo! Bo was awesome to work with! He did everything we asked of him and then some. We were extremely happy with how the site turned out and we’ll definitely be working with Bo for our next project!